Ramadan is one of the sacred months of the Islamic year. Allah showers his countless blessings in this month. The most important thing to consider is that it is the month for which Muslims of the world wait impatiently because this month they observe fasts and it is the ninth month of the Islamic year. Every year Muslims around the world make special arrangements and planning for this holy month. This is owing to the fact that they have to please Allah and want to get all the reward that is given to the Muslims who perform it whole-heartedly. It has a lot of significance in Quran and Ahadith which can be understood by reading the Quranic verses and Ahadith. 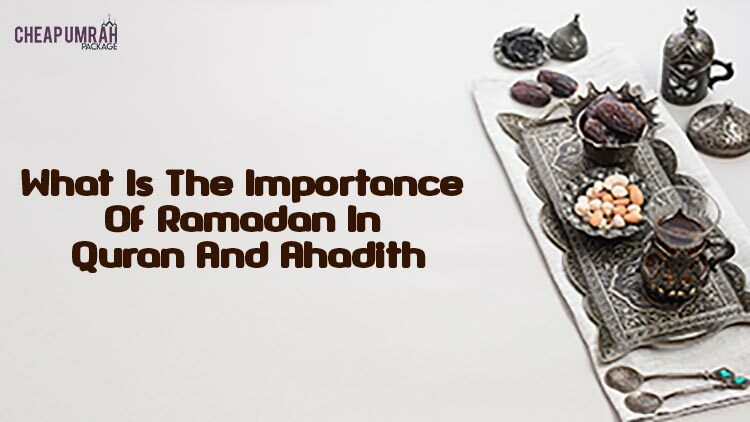 Here is given the immense importance of Ramadan in Quran and Ahadith in a very short summary. Its significance can be understood by the fact that it is the month in which we learn righteousness and taqwa. According to averse of the holy Quran, “Fasting is prescribed for you as it was prescribed for those before you, that you may attain taqwaa.” (Quran, 2:183). This is how Muslims attain the state of taqwa by avoiding things that are forbidden. In this way, we are able to get the path of righteousness. This is the month in which we constantly practice to control ourselves in order to avoid what is forbidden and do what is right and permissible. The reward for the Muslims who observe fasts is just tremendously great. As every act of worship depends on the fact that you carry it out whole-heartedly and sincerely by keeping into mind that you are going to please Allah. Same is true for the fasting in which Allah is going to be pleased and accept the worship only if it is made truly and sincerely. A Hadith says, “The Messenger of Allah (saw) said: He who gives food for a fasting person to break his fast, he will receive the same reward as him, except that nothing will be reduced from the fasting person's reward.” If you also want to gain the rewards of the Umrah In Ramadan than book your Ramadan Umrah Packages from CheapUmrahPackage.Org.UK.